Kirk Kirk Howell Cutler & Thomas, LLC, provides the information on this website for informational purposes only. It is not intended as and should not be considered legal advice. Contacting Kirk Kirk Howell Cutler & Thomas, LLC, via this website does not imply any form of attorney-client relationship with Kirk Kirk Howell Cutler & Thomas, LLC. 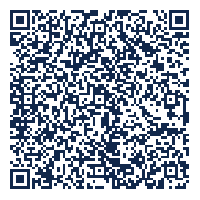 Scan this QR code with your smartphone to download our contact information directly to your contact list. Go to your phone's App Store or Market to download a QR code scanner.